This magnificent basket makes a giant impression. 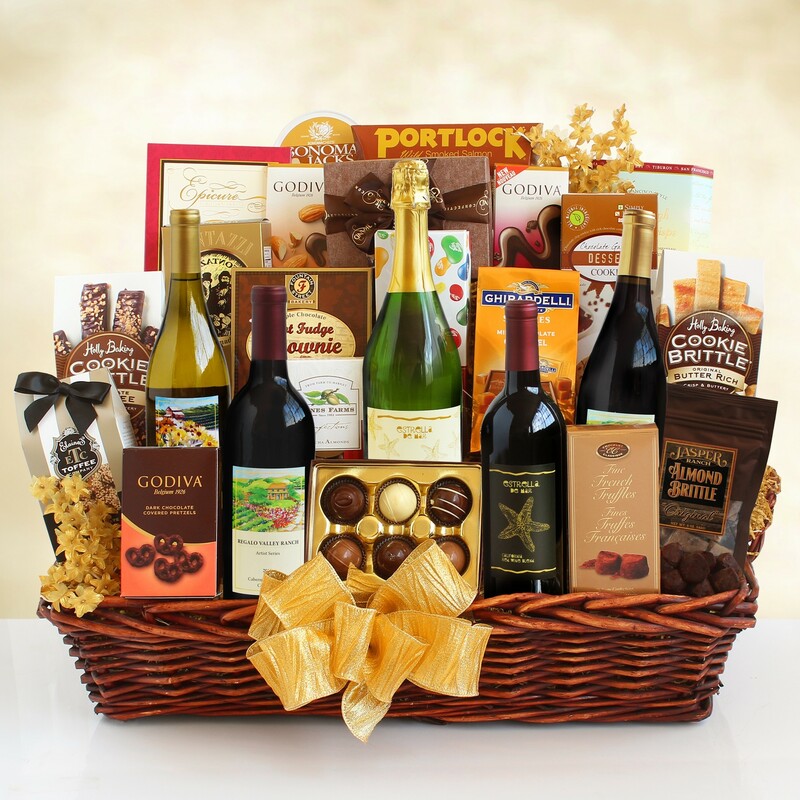 Five bottles of delicious California wine are featured in this sumptuous gourmet gift. Also included in this overwhelming array is Godiva chocolate, toffee, French truffles, Ghirardelli Squares, almonds, and a whole lot more. When only extravagance and style will do. *An adult signature (over 21) is required to complete delivery for all wine shipments. We recommend shipping to a business address wherever possible to insure timely delivery..